What can one say about it? 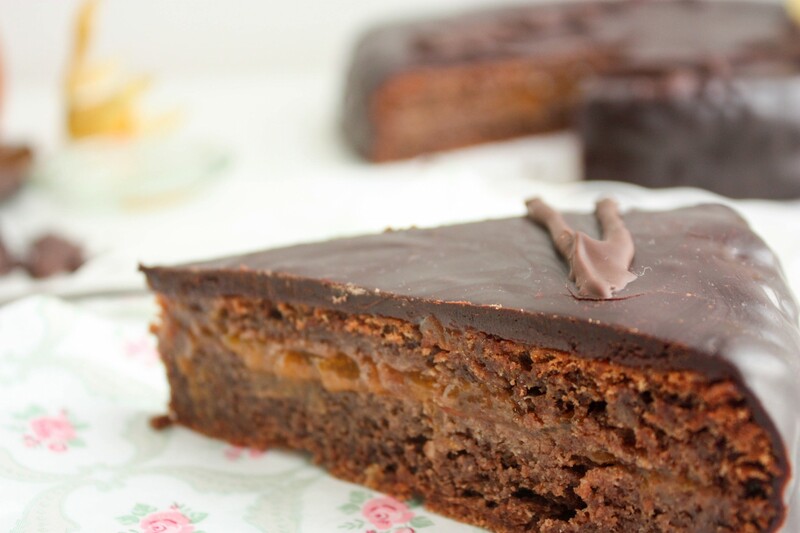 it is extremely well-known by chocolate lovers, and how could it be any other way else? 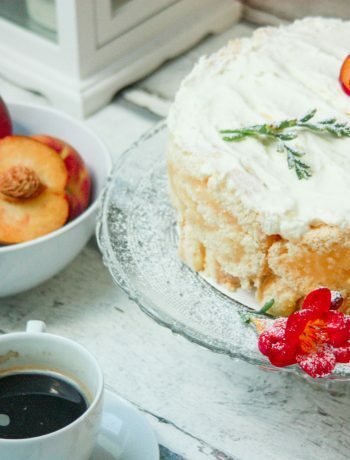 This classic cake will never disappoint you! 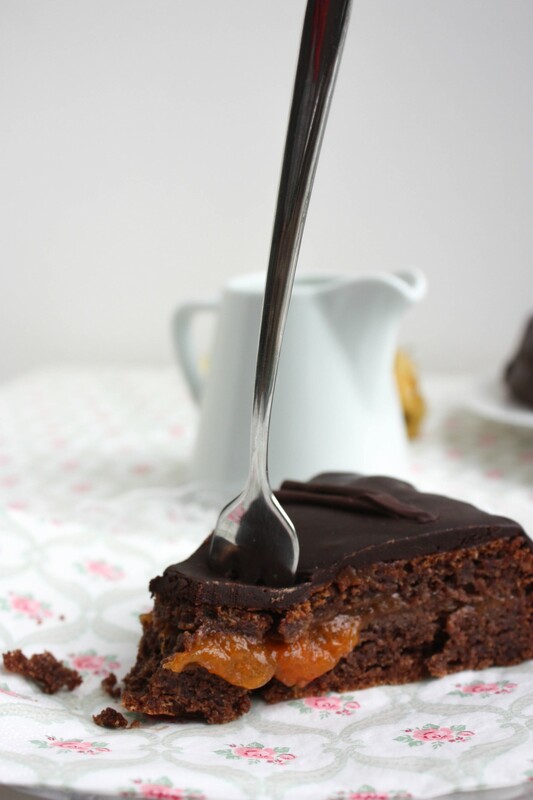 The Sachertorte is nothing else but a simple chocolate cake filled with apricot jam. Its origin is in Vienna, but it has became so famous that it is known internationally. No wonder why. 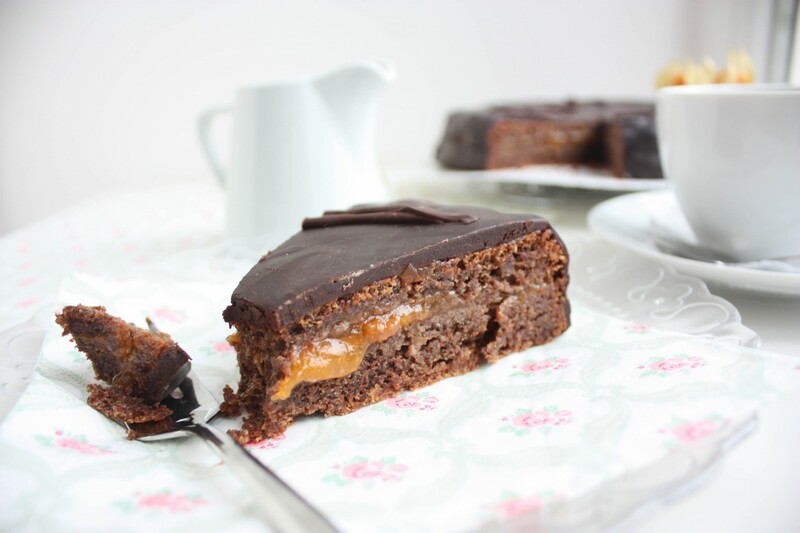 In my honest opinion, all chocolate cakes are delicious, but this one, this one… it is simply the queen of all chocolate cakes! If you are one of those persons who does not like chocolate (I am really sorry for you…) better don’t even smell it. By the way, all my kitchen smells like heaven now! My God! 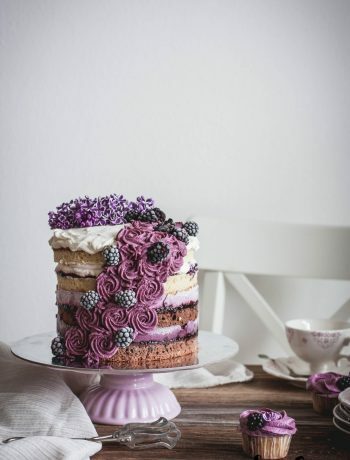 I just die for this cake, and there it goes, confession #2: it is my favorite cake!! 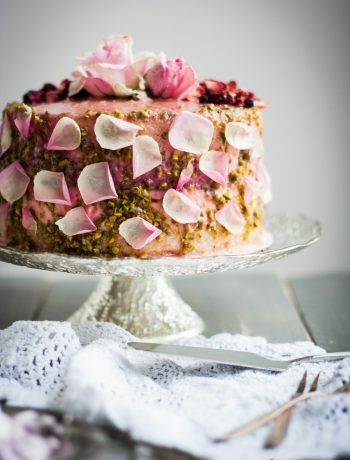 And that is it, there are many cakes and sweets in this world but I have a kind of special connection with this one, yes, I cannot tell why neither. And I never met anybody who didn’t want to try a piece of this cake, if someday it happens I am afraid I would faint because of the shock. 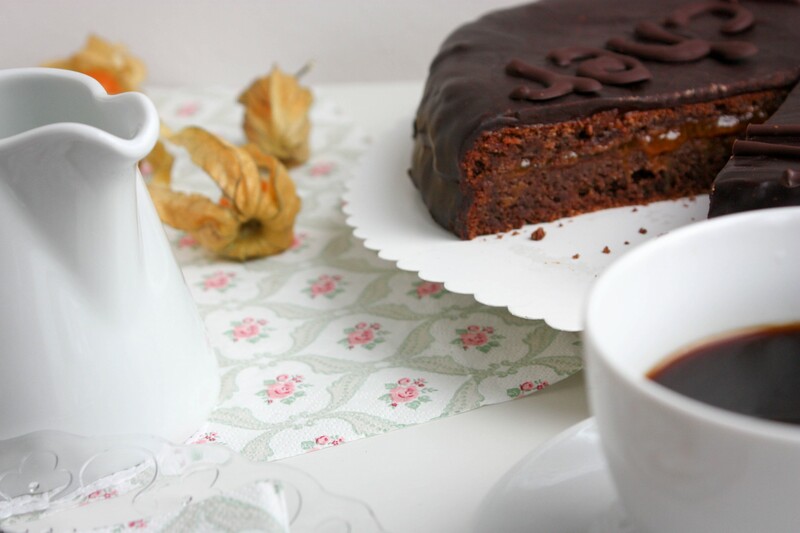 I have baked several times, tried different recipes, all of them really good I must say, but the one I am sharing in the blog today is the one I think is closer to the original Sachertorte taste. And how do I know how the original cake tastes like? 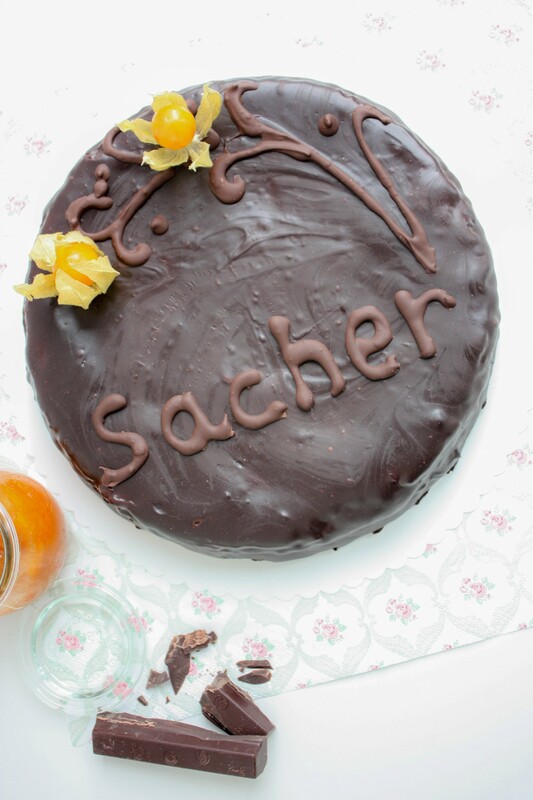 Because, here Miss Curious has to try as many cakes and sweets as possible and of course, went to the cafe in the Sacher Hotel in Vienna just to try with her own mouth how delicious this Viennese cake is. Preheat the oven at 180ºC and prepare the pan with some butter and floor so that the cake does not stick to it. Break the chocolate into pieces, melt gently in a bowl set over a pan of hot water, stirring occasionally. You can also do it in the microwave if you know how to do without burning it. Then cool slightly and continue with the rest. Separate egg yolks and whites. Beat the butter in a bowl until really soft, then gradually beat in the sugar until the mixture is light and fluffy. Add the egg yolks, one by one, then fold in the ground almonds. Add the cooled chocolate and the vanilla extract and beat again. The mixture will be quite thick at this stage. 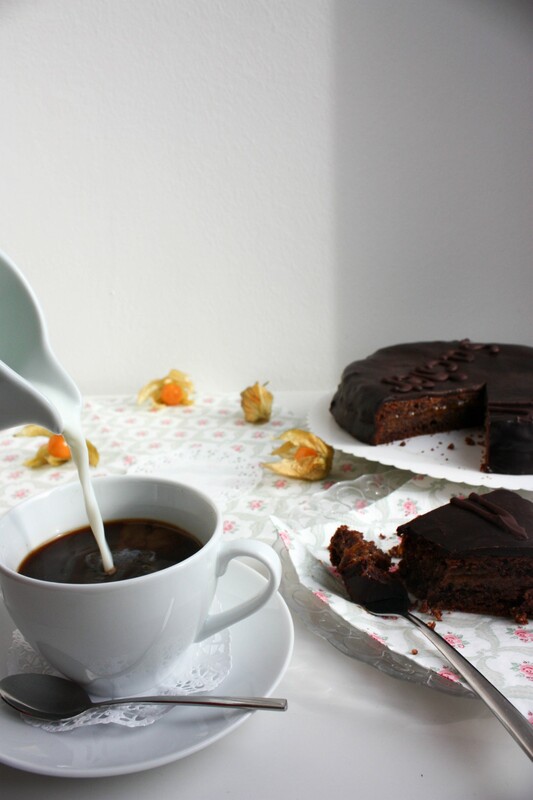 In a separate bowl, whisk the egg whites until they are stiff, this is important since this is the main volume source of the cake, there is not baking powder or similar in the recipe. Add them to to the chocolate mixture and stir in. Pay attention! don't use any electric mixer here, use a spoon and gently stir in doing circles not to vigorously. Pour the mixture into the prepared tin and level the surface. Bake it for 50 min approximately, as always it depends on the oven. Leave to cool in the tin for a few minutes then turn out and finish cooling on a wire rack. Once it is cold, cut it in half and spread the apricot jam gently over one of the halves. Put the other one covering it. I used a self-made apricot jam, if you don't have buy a good quality one since it gives a special fruity taste when it is a good one. 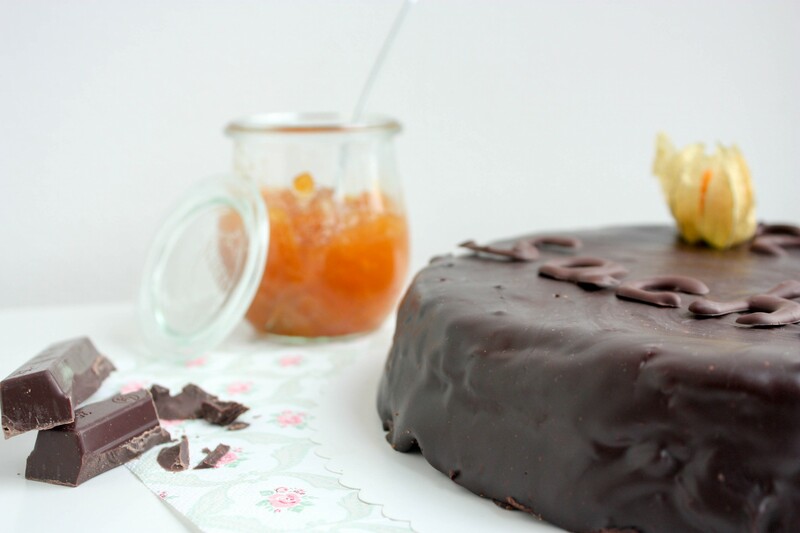 Make the icing by breaking the dark chocolate into pieces. Heat the water and the sugar in a pan until sugar is melted. Add the chocolate to the water mix and stir in until has melted, then cool till a coating consistency. Place a baking sheet or a plate below the rack so that you can collect all the falling chocolate. Then pour the icing on to the center of the cake. Spread it gently over the top and down the sides, and leave to set. Put the cake in the fridge for about half an hour so that the icing gets cold. 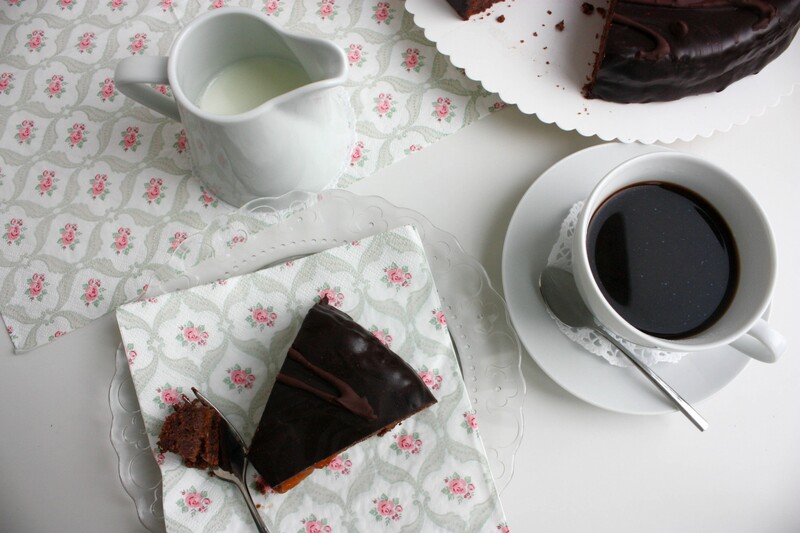 For decorating with letters you can use a cone done with a baking sheet, just leave a small hole as a tip, fill it with melted chocolate and use it as a pen to write on top of the cake. 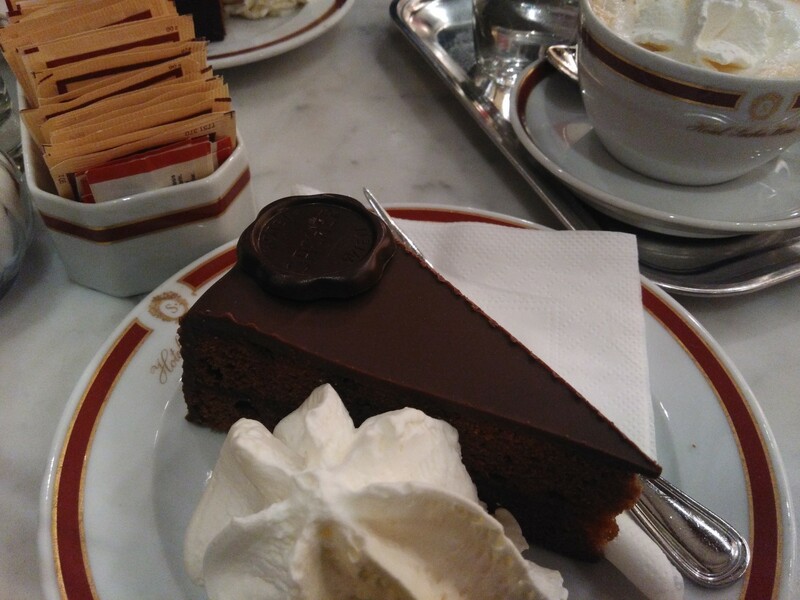 To finish I leave you here a picture of the Sachertorte piece I ate when I went to the Sacher Hotel in Vienna, it looks much more smoother than mine, but comparing them is not fair since they do more than 360.000 cakes per year. Of course they have more experience than me! And look at the crockery! I love it!! I find it so cozy and elegant! !